"Continuous Testing for Continuous Delivery"
To deliver software that accurately reflects constantly changing user needs, more organizations are moving toward continuous delivery. Continuous testing helps ensure that quality is built in from the requirements, while validating each component at the development level before it enters the system. 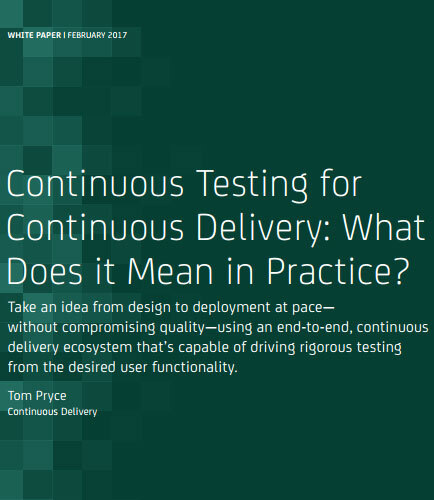 Continuous testing is integrated into an end-to-end continuous delivery ecosystem that’s capable of taking an idea from design to operations at speed, without compromising quality. This whitepaper provides insights on how to iteratively and accurately capture the desired user functionality by continuous testing. 500 million tweets a day are shaping consumer opinion. 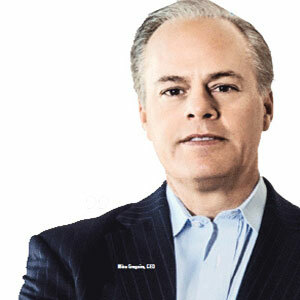 Are you equipped to manage this new reality? Do you have the applications at the front-end to perform flawlessly, capturing and holding the loyalty of your customers, seamlessly connecting with the enterprise?” These were the thought-provoking questions asked by Mike Gregoire, CEO, CA Technologies [NASDAQ: CA], in his keynote address for CA World 2014. The questions reflect the era of application economy where organizations are under an ever-increasing pressure to deliver new applications and services at an increasingly rapid pace. Increased demand for faster software release cycles require developers, testers, and performance teams to work in parallel. What is Continuous Testing ? Continuous Testing is the practice of continuous risk assessment, quality and application tests in shorter cycles during software development process to speed it up, minimizing software failures and the respective losses from a business requirement perspective. Continuous testing involves frequent, automated and parallel assessments of software as it is continuously developed.